Woodruff T. Sullivan III — “Woody” for short — is a University of Washington professor emeritus of astronomy and co-founder of the UW Astrobiology Program. 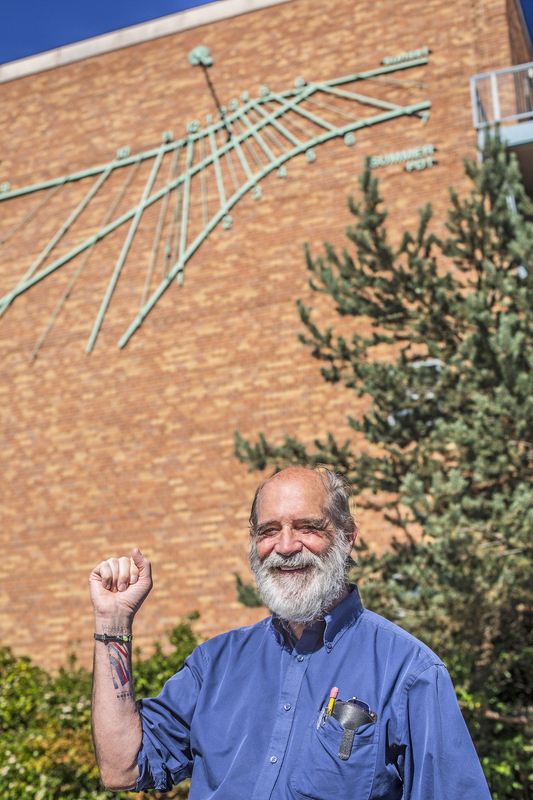 He sat down with UW Today for a wide-ranging talk about the search for life beyond Earth, his plan to pen a historical biography — and “the world’s first working sundial tattoo.” It’s all part of a multifaceted career that is changing gears, but far from winding down. Well, scientists don’t like to use the term “aliens,” but that is a decent summary. In SETI — the search for extraterrestrial intelligence — one normally thinks about the actual problem of communication. And so you want to know how many are simultaneously existing. It’s a philosophical thing to be concerned about how many past civilizations have occurred. You could think of it as a sort of cosmic archaeology. If you could travel around to planets not just in our own galaxy but in other galaxies – like an archaeologist goes around the world looking for evidence – we’re saying that it seems likely that you’d find evidence of these guys all over. And wouldn’t that be interesting? Is there more work ahead for you and Adam Frank? No, we’re still talking but I am not looking to do any more research on that. He will continue with his modeling work, which uses mathematical models to ask what ways we can imagine technological civilizations changing over millions of years. You are writing a biography of astronomer William Herschel (1738-1822). Why a biography, and why Herschel? 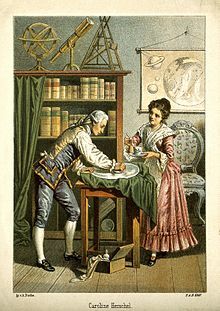 I’ve done much research and teaching in the history of astronomy over the decades, but never a biography, so that’s part of the fascination, to do something new. And Herschel has so many aspects — he was certainly one of a handful of the greatest observers of all time — discovered the planet Uranus, mapped out the Milky Way, discovered infrared radiation, and on and on. He was a musician until he was age 40, but not just a player; he composed 20 symphonies and concertos and so forth. There have been many biographies of Herschel, even in the last 10 years, but they all focus on the astronomy and give half a chapter to the music. I’m not going to make that mistake. I’m collaborating with a musicologist who was a physics undergraduate. We are just beginning. And the key thing is, can we find connections between his science and his music and the way he thought about music and composing? Another aspect is the technology — when he flipped to being an astronomer, Herschel learned how to make telescopes. And these were the world’s largest telescopes, mirrors made out of polished metal; you couldn’t make large glass mirrors in that era. His largest was 4 feet in diameter. He had a foundry in his basement! All self taught — just an amazing guy. Yet another aspect is his interest in extraterrestrial life. He was convinced that all the planets were inhabited by intelligent beings — and even the sun. The sun as well, which is why everyone goes ho ho ho! But, it was a very rational thing — the sun was a cold solid with a hot upper atmosphere — just the grandest of all the inhabited planets. 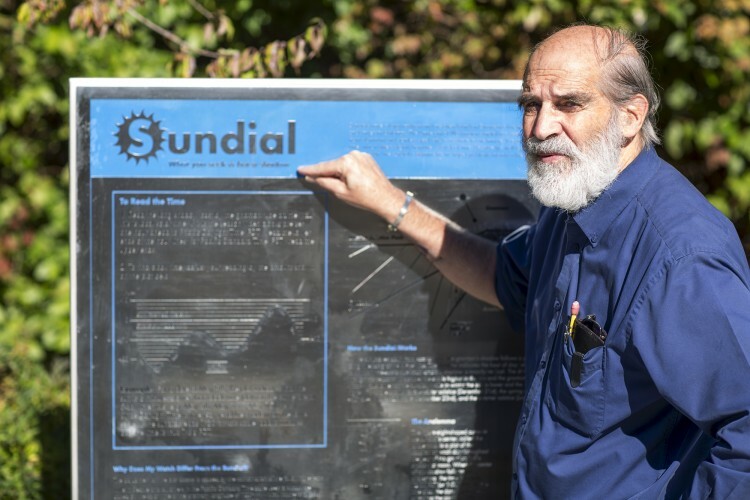 Let’s move to your great interest in sundials — you have created or consulted on the design of many, including even one on the Mars Rovers. What sparked that interest, and when? My sundial interest began very specifically in 1991. I got interested because three years before we moved in to the new Physics-Astronomy Building in 1994, the architects asked, what do you want? I’m thinking of my interest in history of science and art and design, so I casually said, “A sundial would be nice.” Since then, it’s hard to believe — like getting married — that there’s a phase in my life before that. Any sundial projects now underway? I am working with the University of California, San Diego, and a Seattle architect, for a sundial that’s going up on a new building there this winter. It’s a wall dial, but a different design in many ways than the UW one. It will be 50 feet above the ground with a very asymmetric design. That’s my current public sundial project. Then there is the sundial tattoo, which I call a private sundial project. A sundial tattoo? What’s the story behind that? This started with a paleontologist graduate student in the astrobiology program. She likes sundials and we got talking and over the last couple of years we designed it. The idea was for her to have it, but she now has her degree and has since left town. Meanwhile I said to myself, dammit – that would be pretty neat. In April I gave a talk to the British Sundial Society about the technical details and showed the decal I’d made for my inner forearm. I’m going to write it up for their publication. 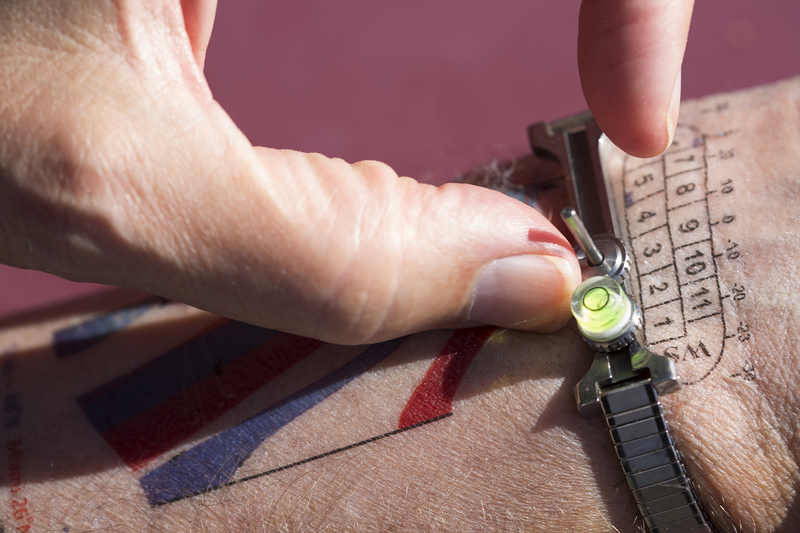 The world’s first working sundial tattoo! Will you get the sundial tattoo decal permanently inked? My daughter asks, “Are you going to want it five years from now?” But it would be on the inside of my arm, not obvious. I’m seriously thinking about it, but haven’t made the final decision — I already have the required bracelet. A cliché question but: Is there a discovery you wish you had made that didn’t happen — a “one that got away”? (Laughs.) I think I have been very fortunate in being able to work on things I found satisfying. I do also want to write a book called “Astronomy and Culture,” looking at the many aspects of how astronomy bears on the broader culture. I’ve written a couple of chapters. One other thing — and it’s much larger than me — is that I hope, before I “shuffle off this mortal coil,” that we do find strong evidence for extraterrestrial life. Microbial life is the most likely. If we found life somewhere down deep on Mars, should we dig it up and study it? Or protect the planet as is, on the theory that we are the invading “virus”? There are different points of view even among scientists — many are gung-ho to terraform Mars — turn it into something like Earth. I’m very much against this. 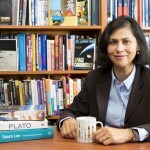 I wrote a paper on what I call “planetocentric ethics” and said we have the unique chance to not screw up environmentally other planets and moons, like we have on Earth. Our technological civilization has avoided screwing up the Antarctic through a treaty that’s now 60 years old. 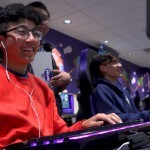 A main reason why it has worked there is probably the lack of resources that are economically worthwhile — but it worked. Could we do the same for Mars? Which brings us to astrobiology — the field has come a long way toward acceptance since you and others founded the UW Astrobiology Program in the late 1990s. Oh absolutely. It’s been a real sea change. It’s entirely different now. It’s a key part of the Astronomy Department and others such as Earth and Space Sciences. I’ve been involved with SETI since the late ’70s – and it was then very radical, an odd thing. There were a few key people involved, Frank Drake and Carl Sagan – but most astronomers really looked askance at it. And that has come around entirely. Astrobiology takes a much broader view than just SETI, which was always focused on getting a radio signal. But astrobiology looks at the origin of life, and its evolution, and the nature of life. I got more and more fascinated with that. And now it has become an accepted field, and our Program one of the best in the world. Did anyone ever say, “This is all fine, but find us at least one other example of life in the universe …” ? But the point is, astrobiology is not just about extraterrestrial life, though that’s a key motivator. It’s about thinking about life in a cosmic context. And about the origin and evolution of life. Is anything inevitable about the evolution of life? For example, does it have to undergo something like a Cambrian Explosion? Even if you only care about Earth life, Astrobiology is a viable — fundamental, I would say — interdisciplinary science that thrives independently of the existence of extraterrestrial life. It’s a way of thinking, a way of thinking about our own biosphere. And then hoping we can find other biospheres — or biomes, as they may not be spherical, it might be just a little patch somewhere 500 meters deep in a certain location on Mars. It’s a really tough problem, to find that second one. It’s been delightful over my career to see that shift. Because I have had eclectic interests, and astrobiology has supplied a much more complete look at things than just being a radio astronomer, which I was trained to be. Do you suspect that life is in fact common in the universe? Yes! That’s one reason why the study of astrobiology has flourished — because the more we look into the nature and origin of life, we don’t see anything special. You’ve got to have the right chemical ingredients — but they are not special, these ingredients. From biology and astronomy we know that. You also need time and energy, but there are many sources of energy around, and billions of years to play with. And so, it seems that life of some sort must get going at many times and at many places. Now, once it gets started, does it evolve at all like Earth? That’s a fascinating open question. Does it stay at the microbial stage forever? I mean, we stayed in the microbial stage for three billion years! We just don’t know for the cases of possible extraterrestrial life — that’s what motivates us to press on with research and exploration. For more information about Sullivan and his work, contact him at woody@astro.washington.edu.